Looking for an alternative to ordinary vegetables to serve along with dinner? 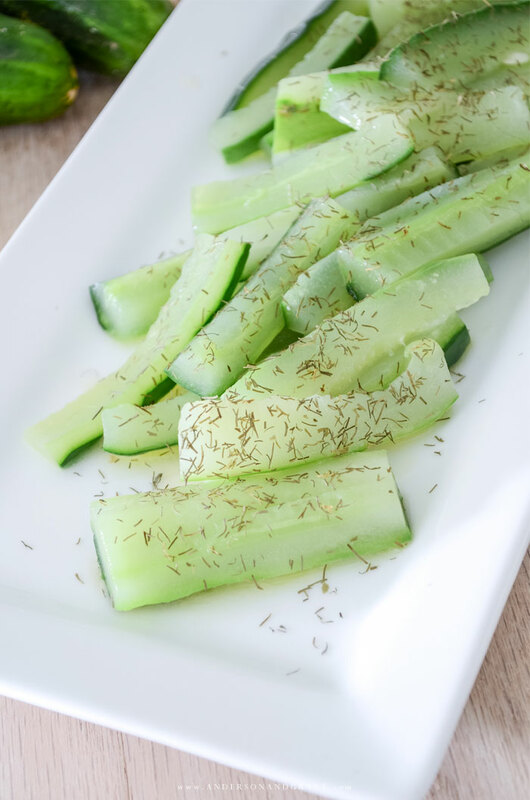 These Sauteed Cucumbers are a unique side dish with a fresh-from-the-garden flavor. There has been a massive number of cucumbers in my house the past few weeks because a friend has been generous enough to share from his garden. I'm really not a huge raw cucumber fan and there are only so many slices that one can add to a salad. I needed something new to do with my fresh vegetables. So today, I'm sharing a recipe for Sauteed Cucumbers. 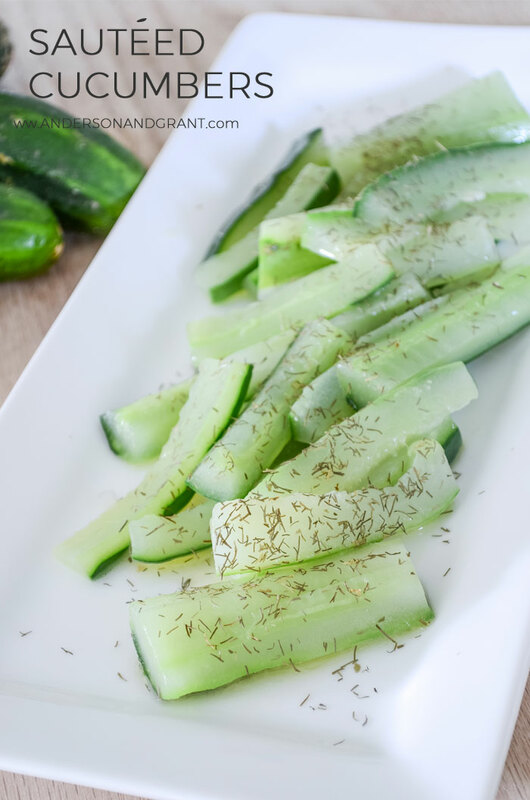 I know it sounds like a strange way to prepare a cucumber, but they have a delightful flavor paired with dill and stay crisp and green. And the recipe is so easy. 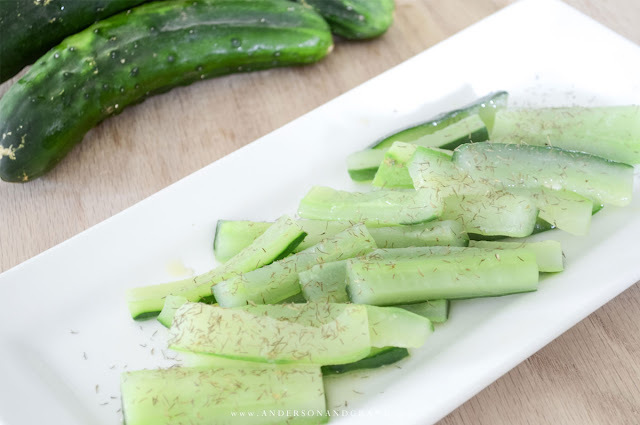 Sauteed cucumbers are the perfect side to any meal in place of a vegetable and give you another way to use up those excess cucumbers growing in your own garden. These sauteed cucumbers are one of those must have summer recipes for a fresh vegetable! Using a vegetable peeler, peel away strips of the skin from the cucumber. Remove about half the skin leaving strips of skin still on the cucumber. 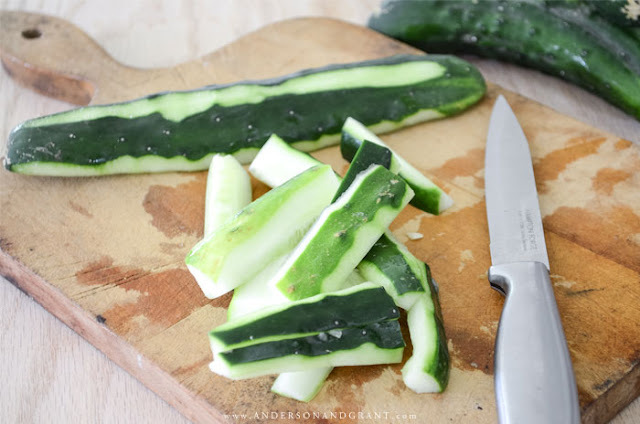 Cut the cucumber in half lengthwise and scoop out the seeds with a spoon. Then cut each half into four wedges, then crosswise into 2 inches sticks. Bring a pan of salted water to a boil and add the cucumbers. Simmer them in the water for three to five minutes. This will blanch the fruit, allowing it to stay crisp. Immediately add the dill and cook for about one minute until everything is hot. Don't cook the cucumbers much longer than this or they will turn bitter. Remove them from the pan and serve.